ONI Bureau: Banking services will be affected across the country for coming few days due to strikes, Christmas holiday and the weekend. 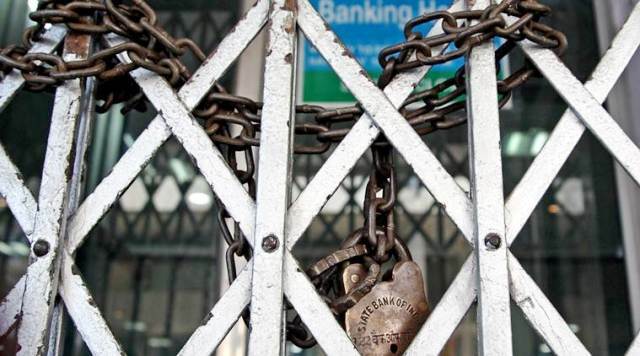 Apart from December 24, banking services are likely to be affected for five days. All India Bank Officers’ Confederation (AIBOC), United Forum of Bank Unions (UFBU) and bank employee unions have called for strikes on December 21 and 26 in protest against the merger of Bank of Baroda, Vijaya Bank and Dena Bank. Likewise, the banks will remain closed on December 22 and 23 due to fourth Saturday and Sunday. Similarly banks will remain off on December 25 in view of Christmas.